To add the calendar on your phone you must first add it to your email account on your Computer. Follow the instructions below depending on the type of email you are using. If you have a gmail address then this is the easiest option. 4. Choose the calendars you want to include. 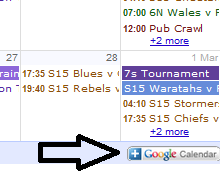 These will now show up wherever you use your google calendar (i.e your phone). 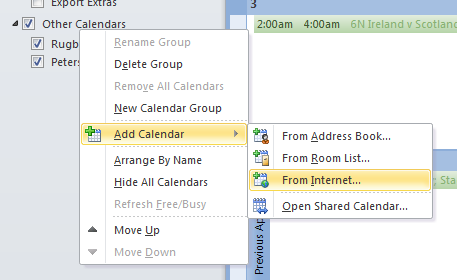 There are many versions of Outlook but the idea is to add an Internet Calendar so that it will be automatically updated when we make changes at our end. 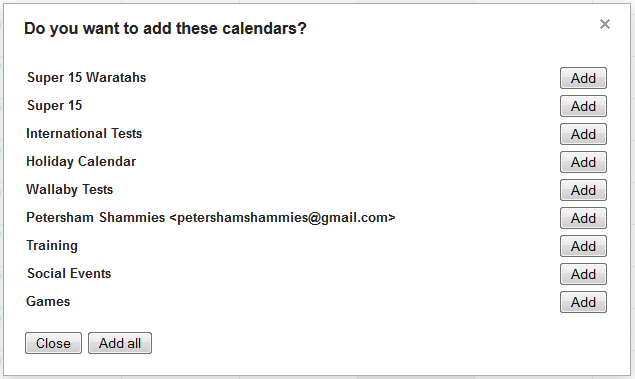 We will add the two calendars (Petersham + Extras) via Live.com. These calendars will then show up in Outlook Express and Outlook if you have your Hotmail linked. NOTE: These calendars take ages to update via Hotmail i.e. 24hrs. This is very slow. I would finding an alternative method if you can. Adding direct to Outlook as described in the next section is a better option. 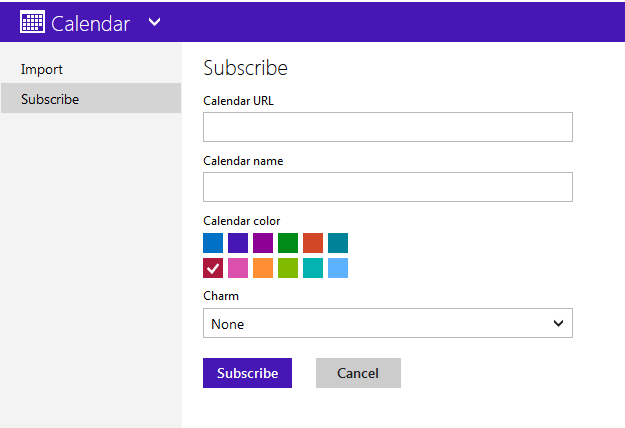 You are looking for an option to import a calendar via its URL.